Greg Weston on a Liberal strategy that backfired almost from day one. The day before the opposition parties toppled Stephen Harper's government and sent the country to the polls, a key Liberal strategist and election warhorse was asked what the heck the Grits were thinking. After all, far from the party being poised to win a federal election, polls showed the Liberals slipping further behind the ruling Conservatives and voters overwhelmingly underwhelmed by Michael Ignatieff's leadership. Pondering the rationale for the Liberals' push to the polls, the strategist finally said with a shrug: "It's pretty much que sera sera." Whatever will be will be. An odd political strategy for an election, it is actually a rather apt description of a 36-day campaign that often defied explanation. One thing seems certain: Whatever the Liberal brain trust imagined on opening day of the campaign, it surely wasn't the disaster that voters delivered at the polls. No one predicted a complete meltdown. In fact, by all accounts, Ignatieff's national campaign tour was exceptionally well organized and his performance on the stump exceeded expectations. So what went so horribly wrong? The short answer is a series of strategic miscalculations, compounded by the simple reality that the vast majority of Canadians have never warmed to Michael Ignatieff. Two years of Conservative attack ads had successfully branded Ignatieff as a dilettante and haughty academic disinterested in the ordinary problems of average Canadians. 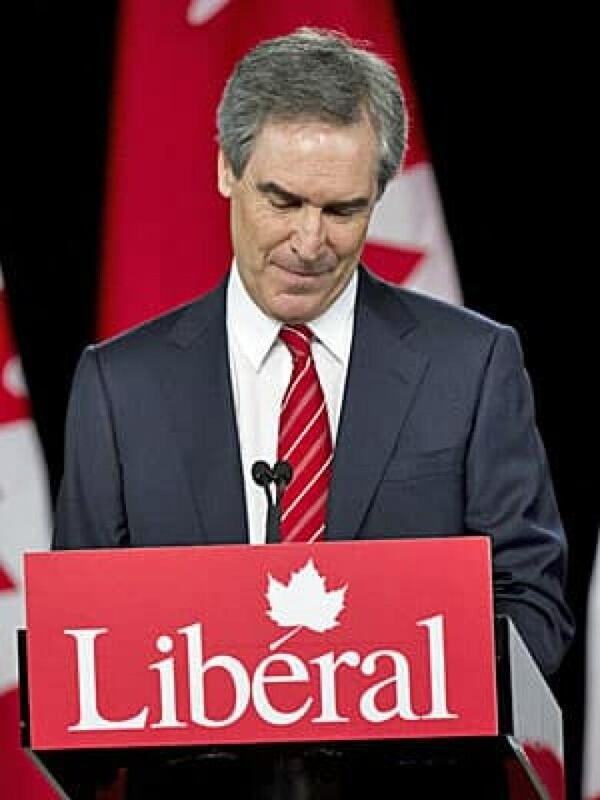 As a result, almost from the moment Ignatieff became leader in 2009, polls showed he remained in the basement of public opinion on three crucial political issues: trust, competence and his perceived ability to be prime minister. No matter what he did, how many speeches he gave or town hall meetings he attended, no matter how his handlers tuned up his image and performance — nothing moved public opinion. A Liberal insider says "there was a sense that public perceptions were not going to change without an election." They did that, all right. But the more Canadians came to know Ignatieff, the more public opinion turned against him. In the absence of a strong messenger, the Liberals were left to rely on a compelling message. But the problems in that department started within an hour of the opposition parties defeating the government. Reporters asked Ignatieff if he would be prepared to form a coalition government in the event the Conservatives were re-elected with another minority. The question was bound to be a campaign issue after Stéphane Dion almost became prime minister in a coalition with the NDP, backed by the Bloc Québécois, not long after the 2008 election. Yet with two years to prepare, Ignatieff seemed unprepared for the question, his answers halting and evasive to the point reporters repeatedly pressed him on the issue. The incident forced the Liberals to issue an embarrassing written clarification on the first day of the campaign, saying he would never lead a coalition. Worse for the Liberals, the stumble provided Stephen Harper with a perfect launch for his campaign of fear, warning that only a Conservative majority government could save the country from "an unstable coalition." The message problems continued with the Liberal platform, a key to the party's campaign in the absence of a popular leader. Some of the party's planks didn't stand up to reality checks, while others were wrapped in needless jargon that only muddled the message. For instance, Ignatieff kept talking about the party's promised "education passport" instead of just saying a Liberal government would give every high school grad up to $6,500 to go to college. Liberal strategists admit that one of their strategic errors was the continuous mud-toss with the Conservatives. There was plenty of it to toss. The Harper government that was toppled over a series of ethical controversies and serious parliamentary rebukes continued to be in trouble on an almost daily basis during the campaign. Yet, nothing seemed to stick to Harper or his party. Liberal strategists were understandably bewildered by Harper's apparently Teflon campaign, guessing that either there would be a delayed reaction to so much dirt, or that voters simply weren't paying any attention to the first half of the campaign. One Grit insider says flatly: "It backfired. People were tired of all the shouting and nastiness in Parliament, and when it came to dominate the campaign, they rebelled." And when the voters rebelled, they started turning to the NDP, and Jack Layton's decidedly more positive message. The televised leaders' debates were the beginning of the end of the Liberal campaign. The English- and French-language showdowns on live television were Ignatieff's big chance to make an impression on Canadian voters, and repair some of the damage from the Conservative attack ads. For almost seven months, a small coterie of Liberal strategists had been helping to prepare the Liberal leader for the crucial debates. The debate-prep team was led by Peter Donolo, Ignatieff's able chief of staff and one-time communications director for Jean Chrétien. But for the first time, many of the most seasoned Liberal party pros involved in two decades of election debates were missing. Like all lobbyists, they were banned from participating in the election by a controversial ruling of the federal lobbying commissioner. Liberal strategists interviewed by CBC are divided on whether Ignatieff received bad advice going into the pivotal debates, or just didn't listen to good advice. But most agree the result was at best a squandered opportunity for Ignatieff; at worst a confirmation of his lackluster image. The negative impact of Ignatieff's mediocre showing in the debates was compounded by his having earlier raised expectations in the breast-beating over a one-on-one debate with Harper. At the same time, Layton put on a strong and strategic performance, first stinging Ignatieff on the Liberal leader's attendance record in the Commons, then reaching out to Bloc voters with an endorsement of expanding Quebec's controversial language law, known as Bill 101. In the French-language debate, Layton went for broke and talked about re-opening the Constitution in a new deal for Quebec. Within days, the polls started showing an NDP upswing in Quebec, mainly at the expense of the Bloc. A week later, what had become an NDP surge in Quebec began spilling into Ontario and the West. All of which left the Liberals in crisis mode. Right after the debates, they changed strategy — with two weeks to voting day, suddenly Ignatieff's focus was health care. His message track in the first half of the campaign was all about wasteful Conservative spending on jet fighters, new prisons and corporate tax cuts. Now he promised to put those same billions of dollars into better health care. It was all too little, too late. The ugly tone of the campaign between the Liberals and Conservatives had already caused voters to tune out the substance. That didn't matter much to a Conservative campaign that had a solid core of loyal voters and was short on substance anyway. But for the Liberals, voters turning a deaf ear to policy left Ignatieff with no way to turn the tide. As Canadians went to the polls, Liberal strategists were clinging to the hope that the NDP's astounding level of new-found support in the opinion surveys would not materialize at the ballot box. Instead, the NDP replaced the Liberals as the Official Opposition, while right-leaning Grits helped give Stephen Harper the majority he so craved. Que sera sera turned out to be the Liberals' worst nightmare.